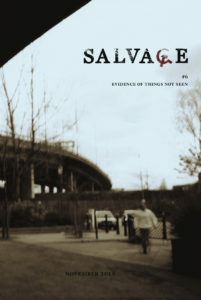 The following is an extract from Salvage #6: Evidence of Things Not Seen. 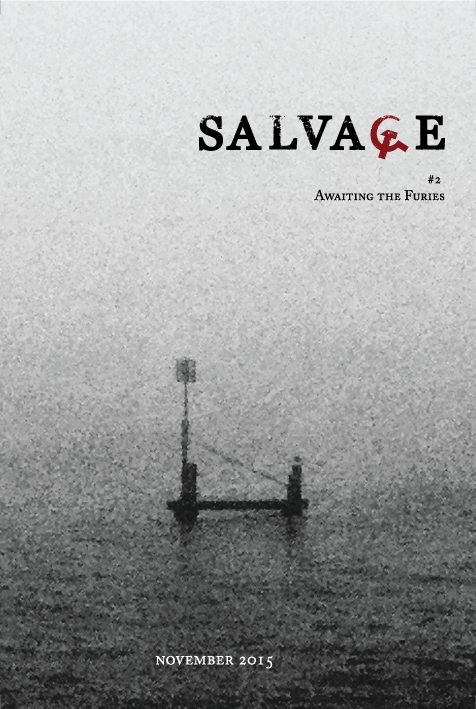 The issue is available for pre-order here, or as part of a subscription, available here. The rest of this essay will be released online after the print issue has been released, along with the rest of the non-fiction in the issue. Our poetry, fiction and art remains exclusive to the print edition. Measured analysis is out, polemics are all the rage. Consider this. A major study by the Institute for Jewish Policy Research finds anti-Semitic attitudes evenly spread across Britain’s political spectrum – with one clear exception: those identifying as ‘very right-wing’ are two to four times more likely to dislike Jews than anyone else. This is the context in which, in late 2016, the House of Commons Home Affairs Committee conducted an inquiry into anti-Semitism. Their report nods to YouGov polling that finds anti-Semitism pollutes all the main parties equally, with UKIP twice as sullied: UKIP is then never mentioned again. We read that the far Right is responsible for three quarters of anti-Semitic incidents in the UK, and that it was ‘an increase in far-right extremist activity’ that provoked the writing of the report – after which the far Right, too, is never mentioned again. The report leans on surveys produced by the fringe Campaign Against Antisemitism, which claims British Jews believe Labour and the Left are the homes of contemporary anti-Semitism. CAA has always lacked credibility; their polling has been panned by the Board of Deputies of British Jews and the Jewish Leadership Council, their statistical work described as ‘littered with flaws’ by Jewish Policy Research, and their whole methodology called into question by a senior official at the Community Security Trust. Nonetheless, eight pages of the Home Affairs Committee report are dedicated to covering Labour’s supposed bigotry. There is no other corner of national life that gets anything like the same level of attention in the report, with the partial exception of pro-Palestinian left-wingers in student politics. That choice is significant. These Members of Parliament judge it their duty not to interrogate popular perceptions by recourse to evidence, but to reflect those perceptions, as recorded by the CAA, and so to add fuel to the fires. The Board of Deputies of British Jews, for example, produces a video featuring teenage girls who fear leaving their homes because ‘the far Left’ might identify them as Jews and attack them. That is a dreadful state of affairs. But what is remarkable about the MPs’ report is that it documents the incongruity to be explained – citing the YouGov and the CAA polls, which demonstrate a big gap between the realities of anti-Semitism and perceptions about it – while vigorously participating in the alarmism that sustains that very gap. We are in the middle of a foul mess. Readers who have had the misfortune to spend any time in Facebook groups like the Labour Party Forum will know this is not the whole story. There a veritable stream of comments complains about Rothschild conspiracies and international ‘Zionist’ cabals, and when berated, the response that comes back is always the same: ‘anti-Zionism is not anti-Semitism’. This is a fitting indication of the poverty such slogans – of course, anti-Zionism need not be intrinsically anti-Semitic, since it can be founded on anti-racist opposition to settler-colonialism, and of course it is pernicious how often and how casually the two things are conflated in Britain today, rendering invisible or unacceptable the Palestinian desire for homes and freedom pitted against a racist state, but anti-Zionism can be anti-Semitism. It can arise out of a prior hatred of Jews, or legitimate anger at Israeli crimes can turn to blaming Judaism or Jewishness as the purported root of the problem. Scaremongering aside, it is quite clear that these attitudes are not entirely unknown on the left. Partisan and alarmist, the CAA makes some silly and offensive inclusions on its list of anti-Semites in Labour, but its dossier nonetheless contains a great deal of damning material. The work of identifying such attitudes is hindered by an assumption that anti-Semitism must always be a conscious hatred of the kind exhibited in Nazi propaganda. Treating it instead as a structure of feeling, as potentially unconscious, as ideological, reveals its extent – people who say, ‘I don’t have a racist bone in my body’, and who really believe it, might still cross the road to avoid a young black man, or watch out for penny-pinchers when doing business with someone who ‘looks a little Jewish’. They might say ‘Zionists’ and mean ‘Jews’, knowingly or not. Probably only a few of those who harbour such bigotries splatter them across Twitter, or write articles openly calling for more anti-Semitism. There is, I hope to show below, good reason for thinking that anti-Semitic attitudes are likely to be dramatically more widespread than is usually thought. Since 2015, debate on this subject has usually remained mired in each new scandal; every few months another Labour Party anti-Semitism story flares up and a slew of articles follows. Amid the slanging match, nobody has much time to develop an account of anti-Semitism capable of explaining both its persistence in contemporary Britain and its improper mobilisation as an allegation. Unfortunately, this is today an urgent task, especially for the anti-Zionist left, which lacks rigorous theories of contemporary anti-Semitism. We have need of them. The starting point should be to step beyond conspiratorial thinking, which is becoming ubiquitous. If anti-Semitism is an unconscious phobia of Jews, one that warms many a soul beyond the nefarious ranks of the far Right, accusations of anti-Semitism are not just the deliberately disingenuous work of right-wingers who are seeking nefarious means to bring down Jeremy Corbyn or to buttress the Israeli state. On both sides, people who consider themselves honest anti-racists acting in good faith can be responsible for nasty things. That is what should interest us. We require first of all the one thing that has been most painfully absent from all the discussions of the last few years, a sense, beyond clichés of what anti-Semitism is. Like that of Vico, Jewish history-telling is cyclically tragic. From Biblical Egypt to Weimar Germany, in our own narratives times of comfort and joy for Jews were always the augurs of misery to come – the higher the summit, the further the fall. In most of the world, we live now in good times. Anti-Semitism in the twenty-first-century Jewish imaginary is therefore located in the past and in the future, as spectral. Worries about anti-Semitism are almost universally anxieties about what happened long ago read as a warning about what might happen next. These are not protests about the organisation of social relations that currently obtains, as in (say) the predominant analysis of white supremacy or patriarchy. Such an approach licenses paranoia. Where progress in the present to narrow the gender pay gap or battle the carceral state might be celebrated as undermining patriarchy or white supremacy, if fears are future-oriented – as in the case of anti-Semitism – no amount of material comfort and social respect for Jews can allay them. The better things get, the worse they might get. Clearly this is a route to madness, so its kernel of truth is troubling and frustrating. The narrative is not easily dismissed. It is true that times of Jewish security and prosperity have often summoned anti-Semitism, which tells us something important about the anti-Semitic worldview. Racism usually treats its Other as inferior. Slavery in America addressed the black man as ‘boy’, as if he were a perpetually half-formed human. Colonialism speaks to its victims as savages, devoid of the necessary psychological mechanisms for ensuring social order and so requiring repression. Anti-Semitism instead treats Jews as terrifyingly superior: rich, powerful, cunning, effectively conspiring to pursue their own interests and so to crush everyone else. The anti-Semite looks miserably upwards in the social hierarchy and feels bitter, where racists usually look hatefully downwards instead. In Mein Kampf, Hitler is almost admiring of his image of the Jew. Hardly in any people of the world is the instinct of self-preservation more strongly developed than in the so-called ‘chosen people’… Which people finally has experienced greater changes than this one – and yet has always come forth the same from the most colossal catastrophes of mankind? What an infinitely persistent will for life, for preserving the race do these facts disclose! This is not to say that Jews are only superior in the anti-Semitic imaginary. We are instead a treacherous, warped compound of superiority and inferiority. After 1789, Jews were often pictured as the image of Enlightenment unchained, and this rough similarity between the anti-Semite’s understanding of Jews and Max Horkheimer’s classic analysis of Nazism is worth noting. In both cases reason roams free, terrifying for being untamed by sentiment. Too much rationalism, too little emotion: deficiency and excess, the super- and the subhuman go hand in hand. As ‘rootless cosmopolitans’ sundered from ties to native soils, Jews are exemplars of a globalising bourgeois future feared by parochial conservatisms. This is a thoroughly different logic of fear from the one common to more patronising racisms, and it is especially virulent since it entertains little possibility of acculturating Jews into Christian mores, as is the preferred strategy of liberal racists in most cases. We Jews are already too clever – clever enough to outsmart only-human gentiles, is the fear – and so anti-Semitism is perpetually paranoid and defensive where modernity’s racisms usually self-present with a benevolent, ‘civilising’ edge. That edge, possible for medieval and early modern theological anti-Semitism, is anathema to modern ethno-cultural anti-Semitism, which has lost much of its ancestors’ confidence in the practical supremacy of Christian virtue. Hence Zionism, enmeshed at its foundation in this anti-Semitic imagery and later even borrowing that phrase ‘rootless cosmopolitan’, seeks to solve the quandary by giving Jews a land, by pulling them out of Europe in order to make them proper Europeans. 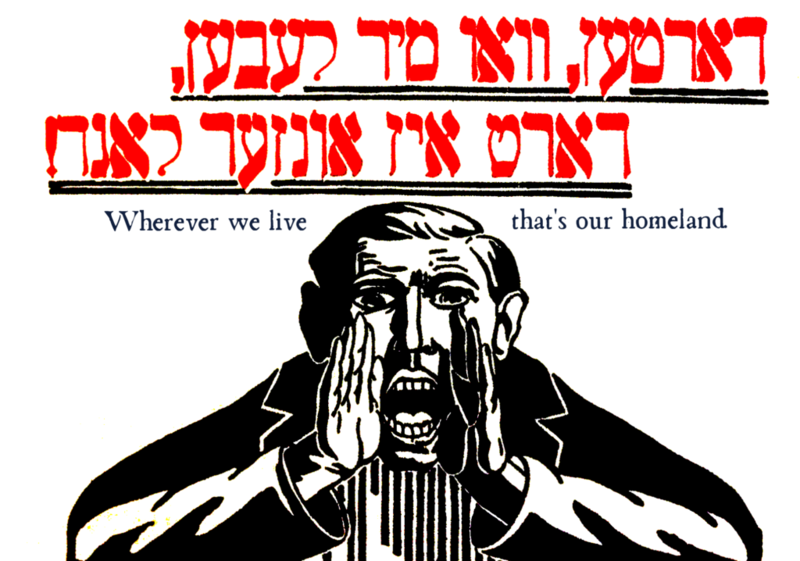 Zionism involves the belated recognition that bourgeois assimilationism requires more than itself, that Jews must renounce assimilation in Germany and transform themselves into peasants and soldiers elsewhere in order really to vanquish their distinctness, to rid themselves of their Chosenness, to become just like other Europeans. Early Zionist optimism extended only so far as to think that the dastardly, reprehensible Jews could be remade. Anti-Semitism’s dialectic holds that too much of a good thing (intelligence, hard work and so on) is a very dangerous thing indeed. For gentiles, genocidal eliminationism is hardly an illogical leap from this standpoint, if you factor in norms of racially defined ‘self-preservation.’ Hence Himmler’s chilling Posen speeches, in which the Final Solution is justified by recourse to a conception of essentially antagonistic interests pitting Aryans against Jews: if Jews were fighting in the Wehrmacht, Himmler argues, no German could be sure of their interests being defended by their own army, peopled by deformed enemies. Only the addition of a pseudo-science of innate racial difference, rooting Jewish enmity in a problematic and intrinsic psychology, separates this from the anti-Semitism of the Dreyfus affair. Nazism was intellectually novel, then, but not comprehensively so. Like most modern anti-Semites the Nazi resents the Jew above all for being not him, for supposedly having interests opposed to his. Those interests are not fungible. Jews are destined to a life of thwarting gentile aspirations. Sartre remains the best analyst of the root problem with this way of thinking, though he is not the most sensitive reader of its mutations. His Anti-Semite and Jew includes the claim, ‘it is the anti-Semite who creates the Jew.’ The text was formative for Fanon, for whom in Black Skin, White Masks, ‘it is the settler who has brought the native into existence’, and it sounds too like de Beauvoir’s insistence that one only ‘becomes’ a woman at the hands of patriarchal moulding. But this is more than the insistence that subjects are formed through encounters with one another. It is rather a claim that the Jewish subject as he (usually he) appears in the anti-Semitic mind is a fantasy. As Brian Klug puts it, anti-Semitism is the hatred of Jews ‘qua not Jews’. That echoes a superb discussion of anti-Semitism in a letter of Gramsci’s, written in 1931, in which he castigates his sister-in-law for seeing a world of Jewish power. The chief intellectual problem he identifies is her conjuring of ethnic ciphers in place of complex human beings. She has invented fantasy ‘Jews’, he says. That is indeed the root of the malaise. It permits a kind of inversion of Feuerbach on theology – a negative projection where people take all that they dislike in themselves and imagine it bundled together in an externalised image, an alien being, a Jew. Already in 1931, Gramsci puts ‘race’ in scare-quotes and mocks Zionists for embracing its mythology, seeing in their own constructed portrait of the Jew an inviolate subject traversing millennia of history. One might easily insert ‘Zionist’ for ‘philo-Semite’ in the old Yiddish joke: ‘the philo-Semite is the anti-Semite who loves Jews’. All are invested in a picture of politics as the essential, unalterable contest between races, with the interests of Jews and gentiles pitted forever against each other. Often the response on the Left (Lenin’s attacks on Bundism included) has unfortunately been to demand unqualified assimilation. The problem with assimilation, most overt in its bourgeois forms, is its assumption that the problem lies mostly with the Other, that the Other must learn to be more like the society that surrounds her; this is its deep connection to anti-Semitism. It misses the possibility raised suggestively by Gil Anidjar, that the Semite might have something to teach Europe. We might add that Jewish theology offers in Chosenness a profoundly important frame for radical political thought; like Marx’s proletariat, the Chosen are not a master race but a people bound to a vocation, tikkun olam, to mend the world. 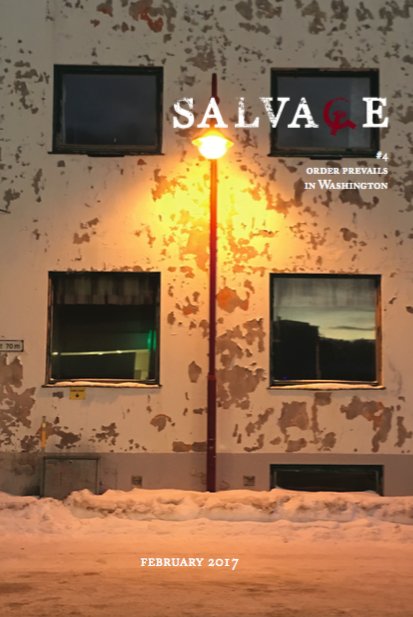 As Sai Englert has written previously in Salvage, Jewish secular traditions preach doykayt, ‘hereness’, in which that ultimate Messianic spectre of total liberation is welded to immediate obligations to battle for the minor amelioration of our homes. Whether in our obdurate scepticism towards false prophets and false messiahs such as those proclaimed by Christianity and Islam or in our diasporic alienation from the limits of national soils, much that anti-Semites hate in Jews is worth cherishing as a ‘Semitic’ orientation to the world, an opening too for solidarity among peoples liminally related to Europe. This is why we should speak of ‘anti-Semitism’, rather than of ‘antisemitism’, according to the spelling that is now ubiquitous, and promoted by the Holocaust historian Yehuda Bauer on the grounds that ‘Semitism’ does not exist, so the hyphen is unnecessary. Semitism does exist, or should do. It is possible to adopt such a position without falling into the philo-Semitism that sustains Zionism – or rather: those later brands of Zionism that are not openly anti-Semitic, as were Herzl, Nordau, Jabotinsky – if one only refuses two conflations in Zionism and anti-Semitism. The first connects identity to race, to blood and so reads Semitism as the intrinsic condition of a minority, permanently, and inaccessible to the rest. Quite aside from anything else, this has nothing to do with Judaism, which has since Maimonides (indeed, since Ruth) understood itself as a set of social practices constituting an open peoplehood into which converts can enter. The second conflation is even more endemic. It is a failure to distinguish cultural interests from political interests. Semitic cosmopolitanism can fight for universalist politics, marching alongside people of all backgrounds without feeling any need to obliterate cultural differences or even merely to tolerate them as in the multicultural imaginary: from such differences cosmopolitans derive strength. The historical record for this project is not good, but no alternative can claim to have worked either. Zionism has manifestly failed to keep Jews safe, to combat anti-Semitism. Its failure is predictable given its whole edifice relies on instantiating the Jew/gentile binary imagined by anti-Semites. It feeds hatreds, freezes them, needs them. At the same time, its copycat nineteenth-century assimilationism succeeds in turning Jews into colonists imbued with the colonial ethic, living dark lives in fear of indigenous violence. Zionism’s project involves inserting Jews into one global coalition and removing them from another; it wants us to join the league of nations, of men with castles and bayonets to defend them, and so it hopes to cut us out of the league of the stateless, the league that loathes the violence of property and empire. This is not a credo to end anti-Semitism but to manage it, and implicitly to fuel it by insisting awfully on Jewish enmity towards the suffering. Semitic cosmopolitanism is the only answer to anti-Semitism. 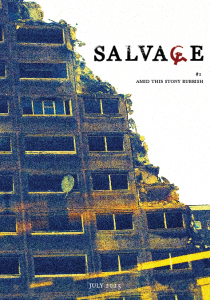 This is an extract from Salvage #6: Evidence of Things Not Seen. 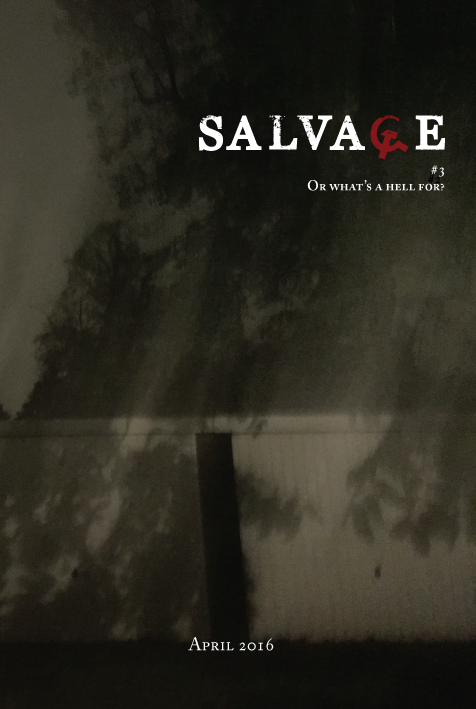 The issue is available for pre-order here, or as part of a subscription, available here. The rest of this essay will be released online after the print issue has been released, along with the rest of the non-fiction in the issue. 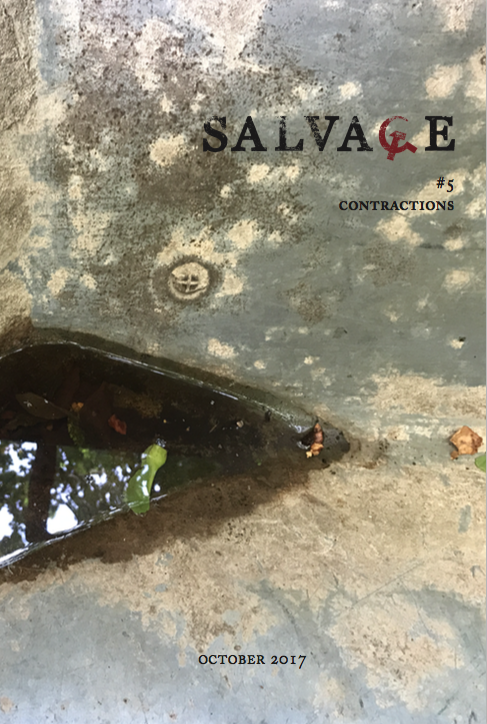 Our poetry, fiction and art remains exclusive to the print edition.